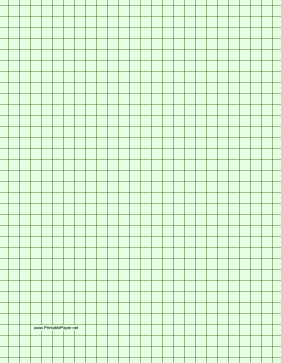 Light green graph paper with green blue three-fourths-inch lines. This type of paper can be helpful for people with special needs such as dysgraphia, dyspraxia, dyscalculia, dyslexia or scotopic sensitivity that makes white paper appear too bright. Letter size.